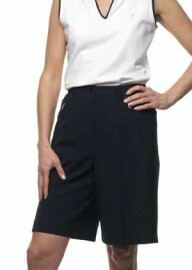 Stylish shorts with side elastication and front zipped pockets. They drape beautifully and containe elastane for a perfect fit. Machine Wash. Inside leg length 9.5", overall length 21".